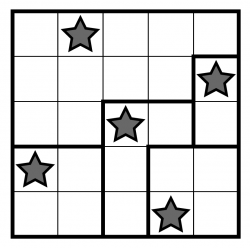 Star Battle is a classic logic puzzle, with a simple aim. 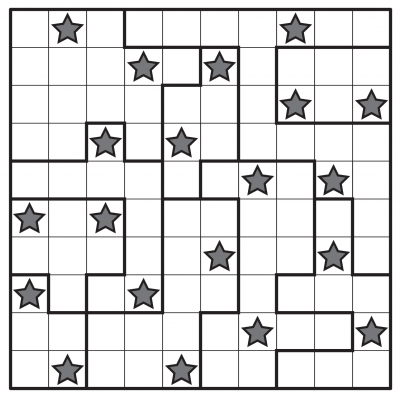 Just place the given number of stars into each row, column and bold-lined region. There's just one restriction: stars can't touch, including diagonally. From this simple premise comes a surprisingly complex puzzle, which can vary from relatively easy through to mind-numbingly tricky. 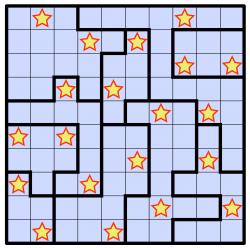 In the larger examples, two stars must be placed in each region, whereas the small example has just one star per region. 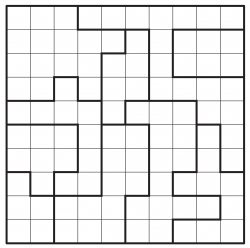 Puzzles can be made at any size and complexity.